Apologies for the lack of updates recently, poor Graham has been working alone for a while, but we are back online and very excited to share updates of some of our latest projects. 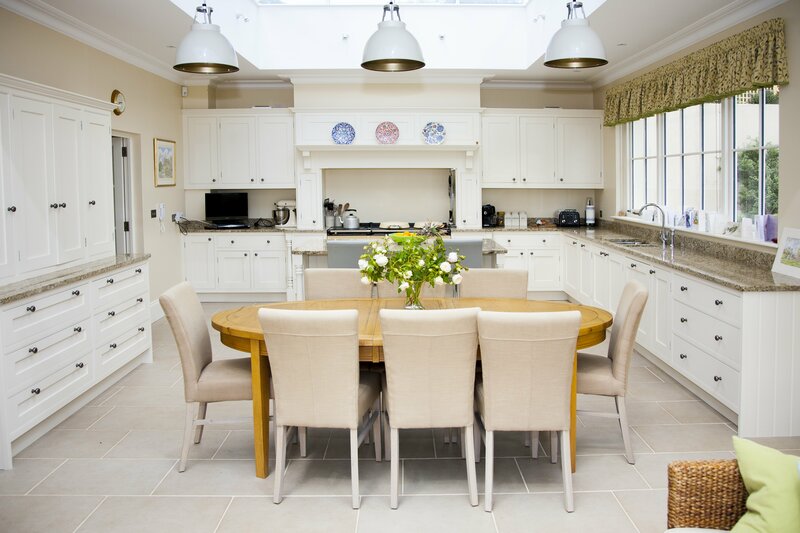 This week’s offering is particularly exciting as it’s one of the largest kitchens (by amount of furniture) that we have supplied. Our website mentions our ‘Elite range’ and this kitchen really is one of the best that we have to offer. Built from solid wood, the in-frame units are handpainted in eggshell paint and finished with pewter handles. All visible ends are finished with classic tongue-and-groove panels and the units contrast beautifully with the New Venetian Gold granite worktops. 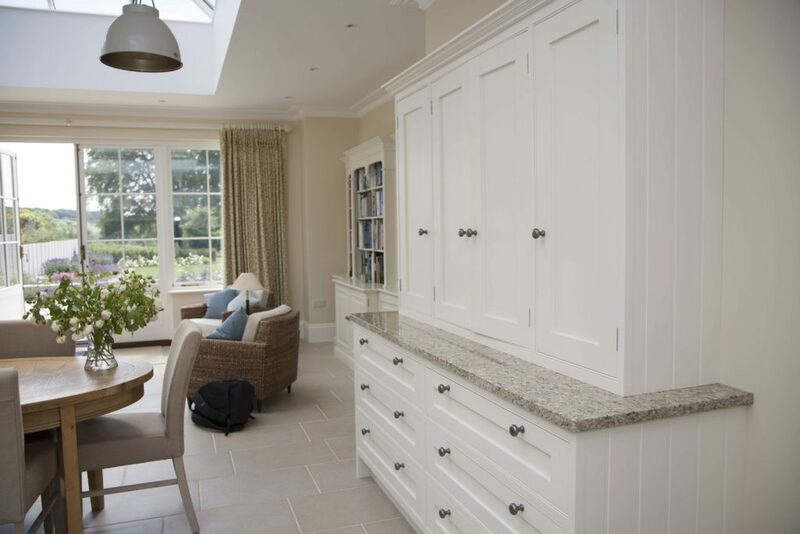 To the left of the kitchen is a large bespoke dresser unit with granite top. 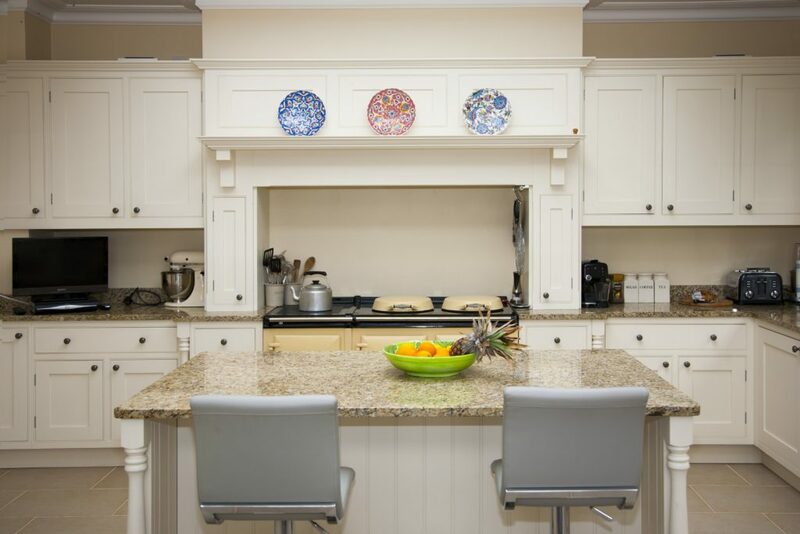 This provides some symmetry in the kitchen and some useful extra storage space for non-kitchen related items. 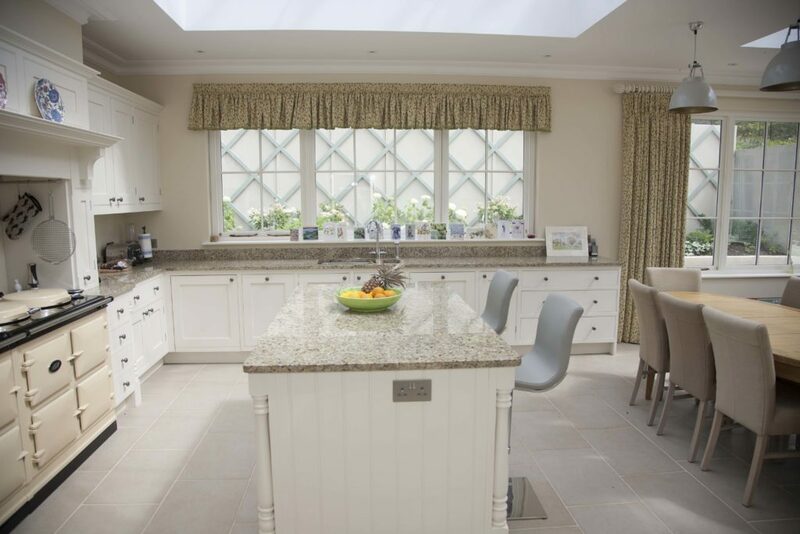 The dresser unit also links the kitchen with the open-plan dining/living area at the other end of the room, which is also beautifully light and airy.